Interested in joining being part of #GiveToMarsDay? You’ve come to the right place! 1. Donate. Even a $10 donation will make a difference, so skip your morning Starbucks and help The Mars Generation achieving its fundraising goal. Give To Mars Day – November 12 – Please Join ME! The Mars Generation (TMG) has planned a special 24-hour online fundraising campaign called Give to Mars Day planned for Give to the Max Day (Online community giving day hosted in MN with donors worldwide) on Today – November 12! 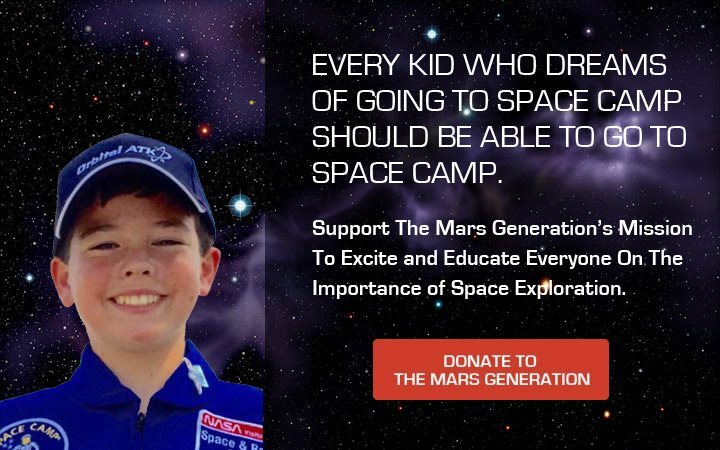 For the #GiveToMarsDay campaign, TMG has set out to raise $100,000 to help fund development of their 3 core programs, which include STEM and space outreach program, Student Space Ambassador program and Space Camp Scholarship Program. I would like to ask you to consider joining me in contributing to the campaign today at http://www.givemn.org/organization/themarsgeneration you can contribute through 11:59pm CST – hurry before it’s too late!